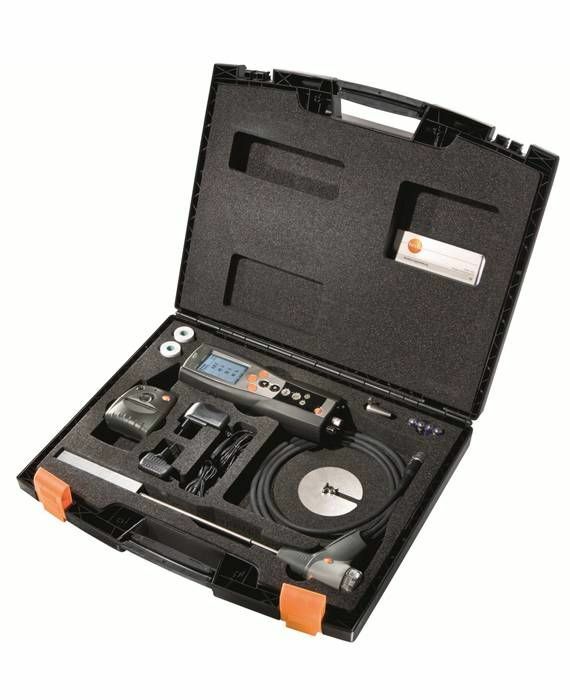 The testo 340 flue gas analyzer, includes a rechargeable battery, calibration protocol, and carryingstrap. It is equipped with O2 sensor and built-in flow/differential pressure measurement. Testo 340s are sold through our Authorized Emissions Distributors network. Please contact Testo to find your local distributor. configured at any time so your analyzer is optimally adpated to your measurement job. A compact design combined with reliable engineering makes testo 340 the ideal analyzer for commissioning, service and maintenance work as well as measurements for monitoring purposes.